Independent video game developer and publisher, Psyonix, and world-renowned social video platform, Twitch, the world’s leading social video platform and community for gamers, invite their fans to tune in to Twitch.TV/RocketLeague on Saturday and Sunday, August 6-7 at 10am PDT, LIVE from the Avalon Hollywood for the Rocket League Championship Series Season 1 International Finals. 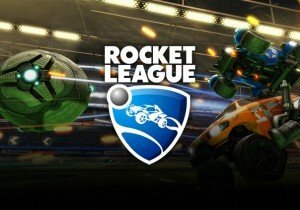 With a $55,000 prize pool at stake, the eight best Rocket League® teams from Europe and North America will battle it out to prove who’s the best once and for all! The four competing teams from North America are Exodus, Genesis, iBuyPower Cosmic, and Kings of Urban, while Europe is represented by Flipsid3 Tactics, The Flying Dutchmen, Mock-it eSports EU, and Northern Gaming. As an added treat, Psyonix will also take the stage on Sunday at approximately 12 pm PDT to make a special announcement! ORCS MUST DIE! UNCHAINED will come to the PlayStation®4 computer entertainment system in 2015.